When do you start shopping for the holidays? Right after Thanksgiving to take advantage of the deals on Black Friday and Cyber Monday? 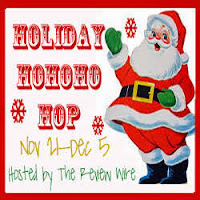 Now here's more chance to win a nice gift instead of buying one from the Holiday HOHOHO Giveaway Hop. The event runs through December 5th. Each participating blog is giving away a prize valued over $15. After entering my giveaway, be sure to stop by The Review Wire for the Grand Prize, an Erin Condren Life Planner! Use it as a nutrition/exercise log, newborn sleep & peep record, work meetings & appointments, academic & social planner, keepsake journal or as a scrapbook...the possibilities are endless! 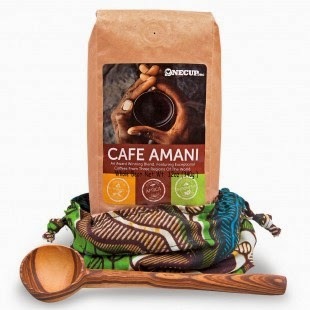 I'm giving away a Fair Trade Coffee Gift Set, courtesy of World Vision. It includes a 12-oz. bag of whole bean coffee featuring delicious flavors from Ethiopia, Sumatra, and Costa Rica blended by OneCup.org, a gift bag of African fabric hand-sewn by local women, and a hand-carved olivewood scoop, crafted to benefit more than 200 orphans of the Kamba tribe. The gift set is only available with a $65 donation to World Vision. It makes the perfect gift for a coffee lover. While we love to receive gifts during the holidays, it's even more rewarding to be the one who gives. The World Vision Gift Catalog encourages you to get creative this holiday season by giving your family and friends one-of-a-kind, handcrafted gifts while helping improve the quality of life for women, children and families in the U.S. and around the world! The catalog offers over 250 items, ranging in price from $10 to $39,000. For a donation of $85 or more, you may choose to receive this box of Prosperity Cinnamon as a thank-you gift. 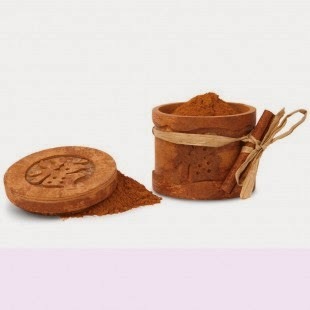 This beautifully carved cinnamon bark box contains 3 oz. of Vietnam's renowned sweet cinnamon and bears a common Asian character for prosperity. Vietnam's sweet cinnamon is a renewable resource collected from the Cassia tree, sold to benefit generations of hard working families. I received a box of this for review. It smells delicious and tastes even better. It adds incredible flavor to my baked goods. Prefect for holiday baking! Now for your chance to win the Fair Trade Coffee Set, please fill out the entry form below. Good luck! Feel free to use the linky to hop onto the next blog in the hop. Disclosure: I received a free product to facilitate my honest opinion. No monetary exchange took place. All views and opinions expressed are my own and may differ from yours. icefairy's Treasure Chest is not responsible for prize fulfillment. If you would like to participate in a future event hosted by Review Wire Media, sign up to be notified by email.